Is Pulmonary Hypertension A Disability? Many patients diagnosed with pulmonary hypertension are considered permanently disabled. 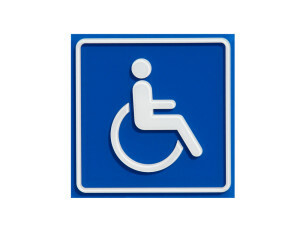 Several factors play a part in determining if a patient is permanently disabled. 1. What functional class is the patient? 2. What therapies are being used? 3. How has the patient responded to therapy? 4. Are there other medical conditions contributing to the patients inability to work? Many patients are on short term disability when they are first seen by a PH specialist because most patients are functional class III or IV before they are accurately diagnosed. These patients generally stay on their disability benefits during the testing, diagnosis, and initiation of treatment. Some patients respond well to therapy and depending on the type of work they do may return to work. Other patients may take longer to stabilize on therapies or require more advanced therapies like the continuous infusions and remain on disability benefits. Some patients respond well to therapy and are no longer disabled by their PAH but other diseases such as scleroderma still keep the patient from being able to work. One of the most difficult parts of coping with the disease of pulmonary hypertension is the waxing and waning of symptoms. Patients will have good days and bad days with no way of predicting when and how severe the bad days will be. When filling out any disability questionnaires remember to answer the questions based on your bad days not just your good days. Speak with your physician regarding your questions about working. A conversation will lead to documentation in the practitioner’s notes about your ability to work or not work and will be useful down the road when records are requested. It is the patient’s responsibility to initiate and follow through with applying for disability benefits, go to http://www.ssa.gov/applyfordisability/ for information and to start the application process. Your physician cannot submit records to support your claim without a bar code that is generated when you start the application process. Applying for disability is a long process. There are many hoops to jump through, forms to fill out, and questions to answer. Most patients are denied benefits the first time around. It may be a good idea to hire an attorney that specializes in disability claims to help ensure that your claim moves forward and records and facts are not overlooked while reviewing your file.